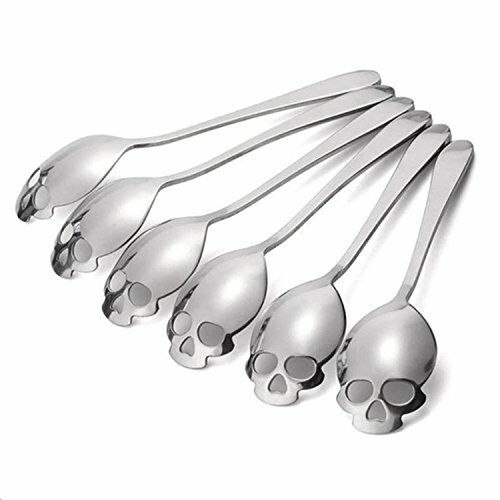 Package include: 6x Skull Spoon Tea spoon measures 6 x 1.3 x 0.5 inch Stainless Steel spoons that gently remind you sugar is evil each time you make a tea or coffee. And they look cool too, obviously. Keep from heat. 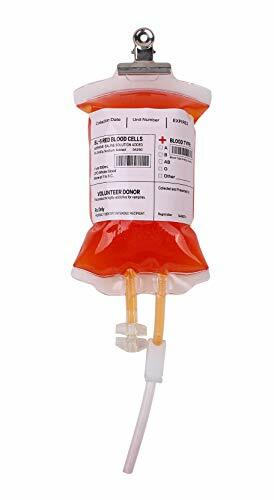 Overheating and freezing may damage the blood bag and cause leakage. Do not squash or overfill the bag as this may cause tears in the blood bag. Best used below 113 F. Customizable label has blood type A, B, AB, O and Other. Other category is a fill in box and can write in your own preferred blood type, for example Vampire, Alien or Zombie. 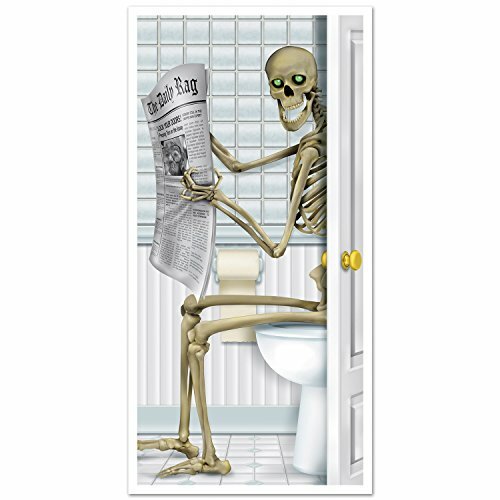 Beistle 00014 Skeleton Restroom Door Cover. Each door cover is printed one side on 2.25 mil plastic and measures 30 Inch by 5 feet. Indoor and outdoor use. 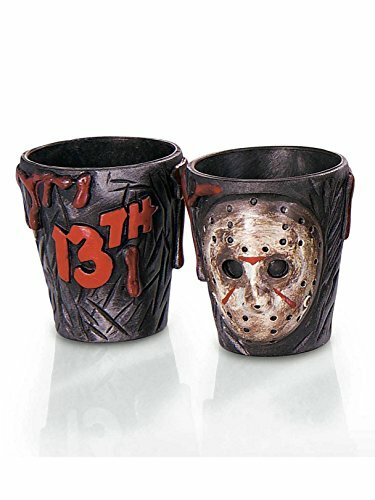 Great for any Halloween home party. 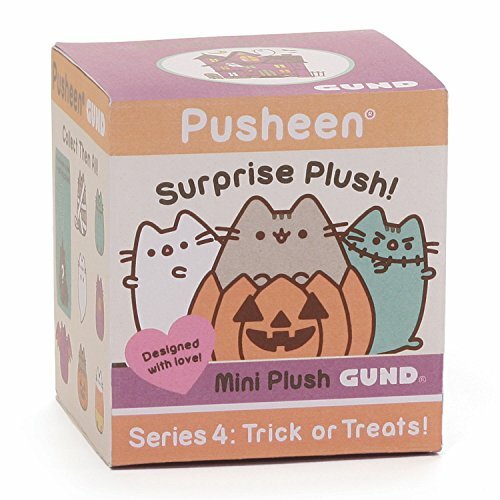 GUND Pusheen Surprise Series #4 Halloween Stuffed Animal Cat Plush, 2.75"
Gund is proud to present surprise plush — our very first series of plush blind boxes. Pusheen surprise plush series #4: halloween features the adorable Kitty cat sensation (and stormy!) all dressed up for halloween! each box includes a sealed Mylar bag containing a Randomized 2.75" keychain plush in one of eight formats: 1. Pusheen bat 2. Pusheen candy corn 3. Pusheen Mummy, 4. Pusheen Ghost, 5. Pusheen Zombie, 6. Pusheen sitting in pumpkin, 7. Pusheen holding pumpkin, 8. 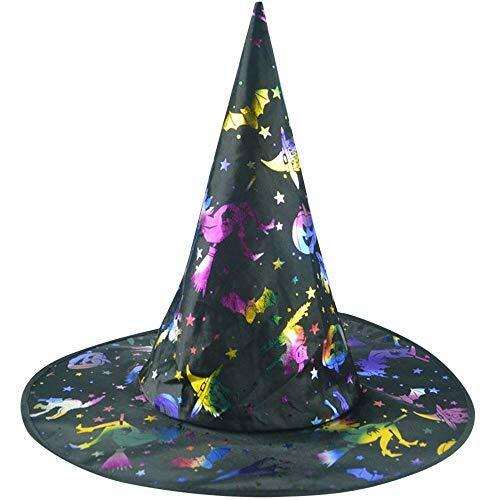 Stormy witch. 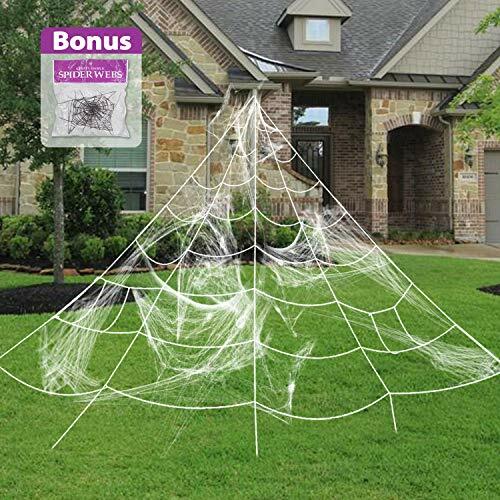 Surface-washable for easy cleaning. Appropriate for ages 8+. Gund: for more than 100 years, Gund has been a premier plush Company recognized worldwide for quality innovative products. Building upon our award-winning and beloved plush designs, we continue to practice innovation by constantly developing new original and licensed designs to appeal to the next generation of customers. To that end, each one of our plush toys is constructed from premium materials for unparalleled softness and huggability. Please note: due to the collectible nature of this product, we can only accept returns for items with the sealed Mylar bag intact. This bag do packs a punch. 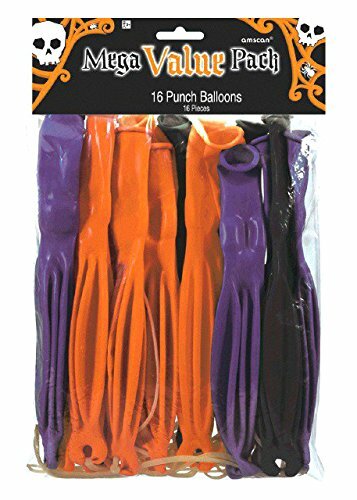 Grab a Mega value pack of these Halloween latex punch balloons for a fierce and fun activity during Halloween events for kids. Each pack contains 16 of these durable balloons in three colors and designs. Inflate the balloons to reveal images of jack-o'-lanterns, bats, and skulls. Hand out to the little goblins and ghouls as groovy graveyard treats. 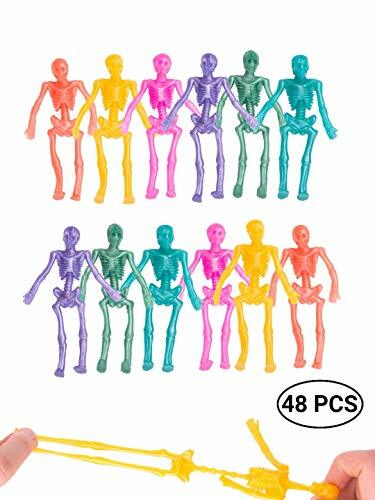 Rat Bonez is 18" long from nose to tail (8" body, 10" tail) and has a bendable tail and a moveable head and jaw. 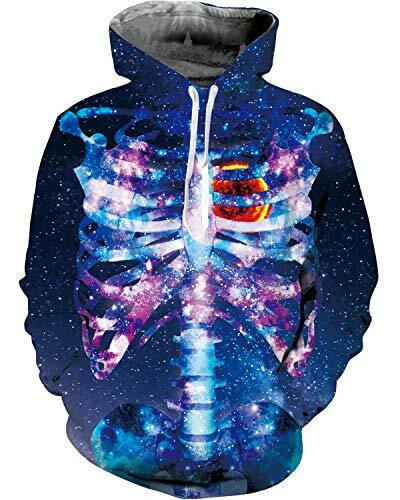 Add it to your Crazy Bonez collection today. Beistle 00372 Halloween Mobile measures 30 Inch and comes fully assemble. 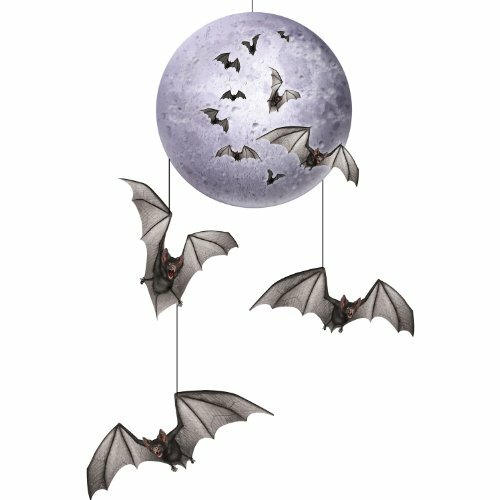 Printed board stock full moon with three bats attached by black cord at different lengths. 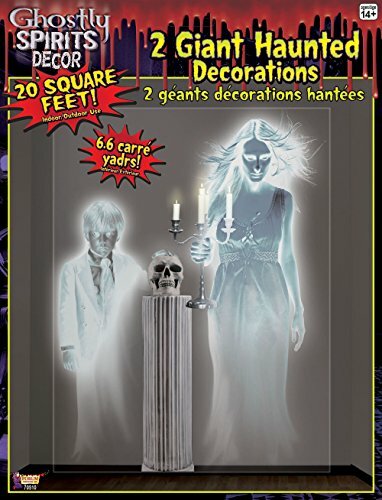 The haunted house ghosts Halloween wall decor will allow you to take any ordinary wall and change It into a haunted looking wall. 101 Cookie Cutters. With this set, you're covered. 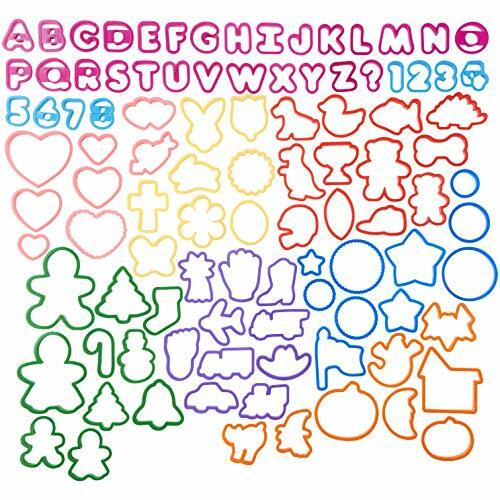 Make cookies featuring popular holiday and theme shapes like sports, flowers, animals and more. 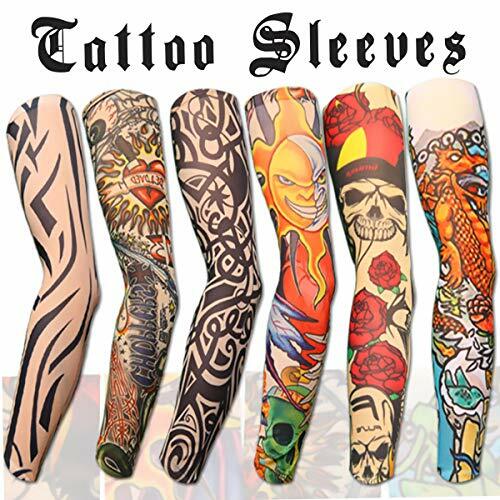 High quality stretchy,comfortable and soft,suitable for men and women,arms and legs Tips: wearing a watch to hide the sleeves' end will make the tattoo looks even more real. Item can be used for outdoor sunscreen FEATURES:1.Brand:AKStore2.Material:Made of 92% nylon & 8% spandex. 3.Size:15.4"" Length |3.4"" wide 4.Color:as a picture5.Weight:2.1 lb Package include:6 x Tattoo Sleeves. AFTER SERVICE: -Upon receipt of our products, if you are not 100% satisfied with the quality or concerned, Please contact us,We will try our best to solve it.no-questions-asked money back guarantee and top-notch customer service.-Our belief is that the interest of our customers comes first. So, we will do everything we can to protect your interest.-Thank you for visiting our shop, welcome to visit next time.